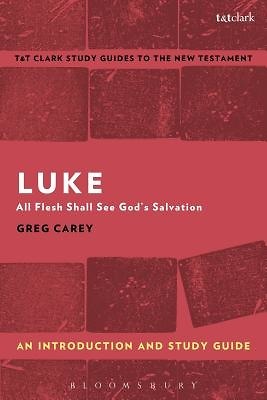 Greg Carey's guide equips readers to develop their own informed assessments of Luke's Gospel. The book begins with an inductive exposition of Luke's singular approach to composing a story about Jesus, examining its use of Mark, clues to its social setting, and its distinctive literary strategies. Recognizing that many readers approach Luke for theological and religious reasons, while many others do not, a chapter on 'Spirit' addresses Luke's presentation of the God of Israel, how the Gospel ties salvation to the person of Jesus, and how the problems of sin and evil find their resolution in the kingdom of God and in community of those who follow Jesus. A chapter on 'Practice' examines the Gospel's vision for human community. While many readers find a revolutionary message in which women, the poor, Gentiles and sinners find themselves included and blessed in Luke's Gospel, this volume calls attention to inconsistencies and tensions within the narrative. Luke does speak toward inclusion, Carey argues, but not in a revolutionary way. Could it be that the Gospel promises more than it delivers? Carey suggests that Luke speaks to people of relative privilege, challenging them toward mercy and inclusion rather than toward fundamental social change. An Epilogue reflects upon contemporary readers of Luke, most of whom enjoy privilege in their own right, and how they may respond to Luke's story.